It was a rare public appearance for the 44-year-old comedian, who had not been seen since cancelling his highly anticipated live tour back in December due to "unforseen family circumstances". 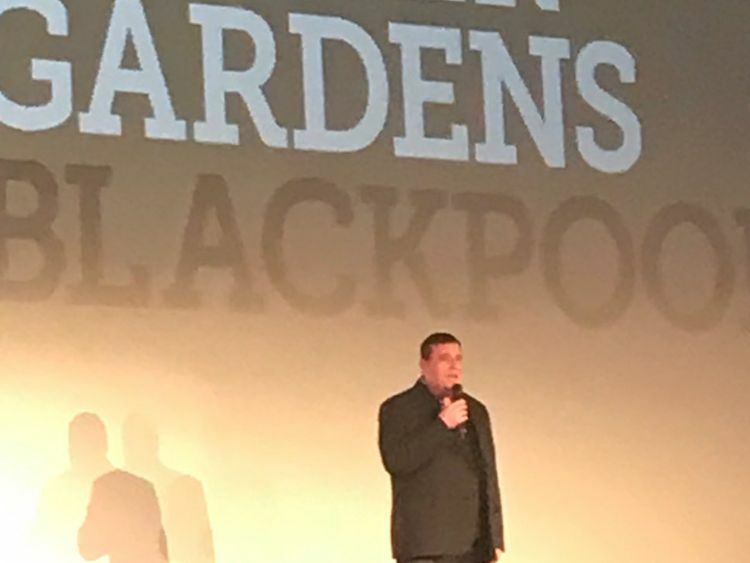 Thousands packed out the Blackpool Opera House on Saturday to watch the final episode of Car Share, as well as an unscripted special, and Kay was there to make a short speech thanking them for their support.Many of those in attendance shared their excitement on social media, with the unscripted edition described by one as "pure genius". Neil Hailwood said it was "amazing" and that he had "never laughed as much ever", while Fi Beau said it was a "total joy".It was the third and final special screening held this week before the finale airs on TV in May, with the second series of the BAFTA-winning show having ended on an emotional cliffhanger.Kay's character, John, had failed to reciprocate the advances of colleague Kayleigh (Sian Gibson), and fans were then left devastated when Kay announced he wanted to "go out on top" rather than make a third series. But he later announced the special finale and unscripted episode, both of which were filmed last year, before he cancelled his nationwide tour. It was to be his first live tour in eight years, and he said the decision to cancel it was "not taken lightly".He added: "I'm sure you'll understand my family must always come first. "The charity screenings, announced via Twitter last month, were organised to raise money for The Lily Foundation, and sold out instantly.Kay - listed by the Guinness World Records as the "most successful comedian of all-time" - said the foundation was "an inspiring charity that helps to improve the lives of children with mitochondrial disease".The BBC has not yet announced a specific air date for the final two episodes of Car Share.